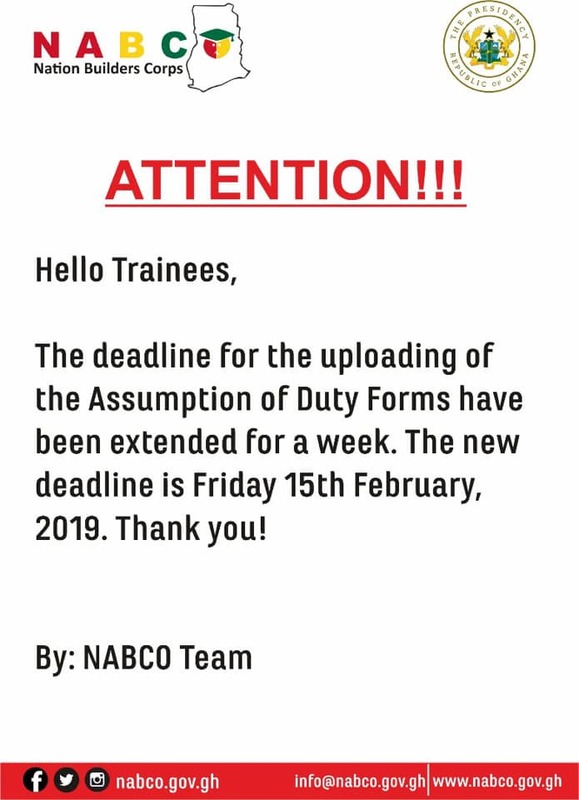 NABCO has extended the date for the uploading of the NABCO Assumption of Duty form. This development comes after several people have not been able to upload their forms. However, a lot of NABCO trainees see the extension as a mere excuse to delay the payment of Stipends, mostly for January. A lot of other people have not received their stipend for November and December too.